Arizona has a “special” election coming up for the voters to consider two ballot propositions placed before them by the legislature (which, for most observers, should be definitive evidence that both are bad for Arizonans – this *is* the Arizona legislature that we are talking about here). Proposition 123 would allow the legislature to continue to shirk its duty to properly fund education in Arizona by letting it tap into the state’s land trust at a faster pace than is currently allowed. Proposition 124 would reward the legislature for it habitual underfunding of the pension system for public safety employees by placing more of the financial burden of the system on those public employees. Early ballots have started reaching mail boxes this week, and there are already problems. And to the surprise of almost no one, the problems are in Maricopa County. ABC15 has learned thousands of early ballots mailed in Maricopa County this week have a major mistake in the Spanish translation of Proposition 124. Proposition 124 is a proposal to make changes to police and firefighter pensions. 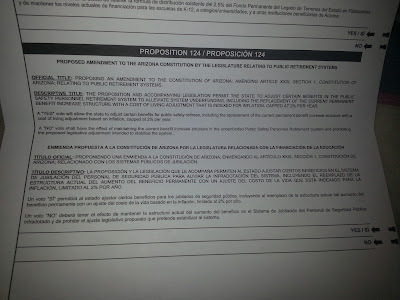 However, the boldface short title of the proposition in Spanish indicates it’s about education funding. 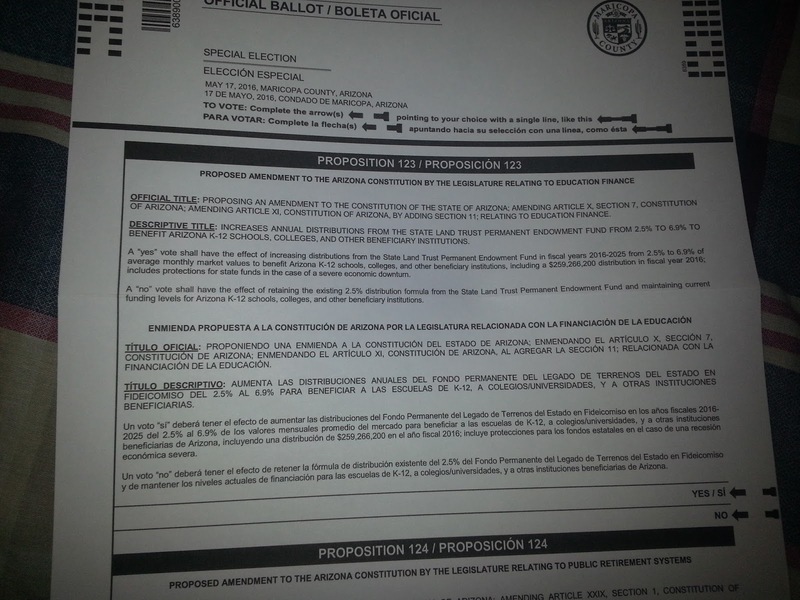 The wording in the title for Proposition 124 appears identical to Proposition 123, which is also on the ballot. Beneath the incorrect title for Proposition 124, there is a more lengthy explanation that appears to appropriately describe the pension reform ballot measure. Spokespeople for both the Arizona Secretary of State and the Maricopa County Recorder say they were unaware of the problem until ABC15 brought it to their attention Friday morning. They, meaning Michelle Reagan (Arizona Secretary of State) and Helen Purcell (Maricopa County Recorder), respectively, the overseer of elections in the entire state and the overseer of elections in the state’s most populous county, want people to believe that this is a minor mistake that can be corrected by reprinting the ballots to be used for in-person voting and sending post cards to the recipients of early ballots. Which might be an adequate response…if there weren’t problems with all elections in Maricopa County. Most of the time, Purcell, Reagan, et al. place the blame for problems with elections square on the shoulders of the people they seem to despise most – the voters. Apparently, certain elected officials are surprised when voters actually vote in elections that don’t have those specific elected officials on the ballot. 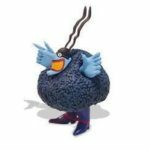 Of course, there are a few examples of official malfeasance/sustained incompetence that even they can’t blame on the voters; when caught, they just “pooh-pooh” (minimize) the impact of their bad acts on the voters. Like they have in this situation. Full disclosure time: I have already voted “No” on both propositions and returned my ballot. My reasons for voting against Prop 123 have been stated before this. As for Prop 124, while a number of people that I wholeheartedly respect actually support the measure, I cannot bring myself to support of anything that the legislature puts on a ballot. Somewhere…someday…the modern Arizona legislature may spawn an idea that actually benefits all Arizonans, and not just their deep-pocketed masters. When (if!) that comes to pass, the related post will have a title that starts with “Well, there’s a first time for everything”. 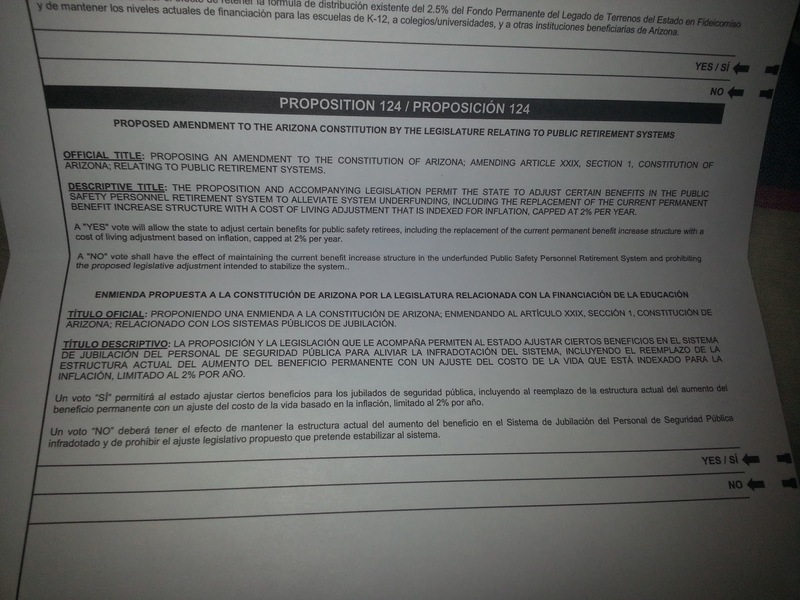 Prop 123; please note the Spanish language short title. 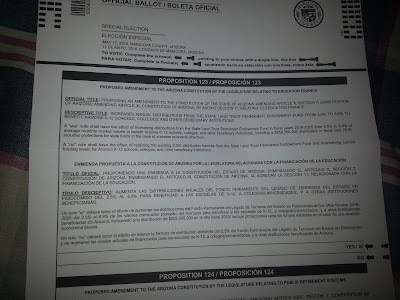 Prop 124; please note the Spanish language short title. Shouldn’t he be here defending these idiots as just incompetent and not actually corrupt? Maybe he’s out of town meeting with Kris Kobach. Yeah, that’s probably what he’s doing. Seriously, how do these idiots or crooks or idiot-crooks keep their jobs? Apathy, or specifically, people who can’t be bothered with politics and voters who don’t pay attention to what their elected officials are doing before casting their ballots. they keep their jubs because there is no penalty to pay from good government democrats. good government liberal say with reasonable republicans (are their any in arizona that can get elected? )we will be reasonable and with unreasonable republicans we will be reasonable too! the arizona state democratic party officials talk tuff but act like a punching bag. when kavenaugh sponsored a bill to make it a felony to block a trump rally as the young latinos did. what do the arizona state democratic party plan to do about it in retaliation besides doing nothing.